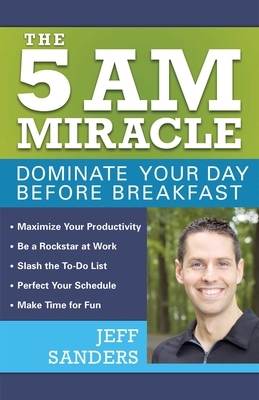 The 5 AM Miracle offers you a plan to focus on what matters most, and get more done. It shows how to reap the incredible benefits of early rising, from demolishing your to-do list to making time for your passion projects. Jeff Sanders is a productivity coach, plant-based ultramarathon runner, and host of The 5 AM Miracle podcast. He has a bachelor of arts degree in Theatre and Psychology from Truman State University and lives in Nashville with his lovely wife Tessa and quirky pug Benny. To learn more about Jeff and how you can dominate your day before breakfast, visit JeffSanders.com.